Even though they have some great features, Apple has been forced to admit its new iPhone XS and iPhone XS Max were shipped with problems. The good news is Apple fixed most of the issues, but new tests confirm that there is one problem that they can do nothing about. iPhone XS and iPhone XS Max’s battery life is a mess, especially the XS Max. PhoneBuff discovered that the iPhone XS Max (The largest and most expensive iPhone ever made), couldn’t get close to the battery life of its rival, The Samsung’s Galaxy Note 9. When the iPhone XS Max died, the Note 9 still had a 37% battery life remaining. These conclusions have shocked many people for so many reasons. While the iPhone XS Max has a smaller battery, it’s only 20% smaller than the previous iPhone. The Note 9 has a higher resolution display and better pixels is the most demanding thing people want from a phone. All of these problems can be blamed on the software. Apple claims iOS 12 is the fastest and most efficient generation of iOS to date. Obviously not. 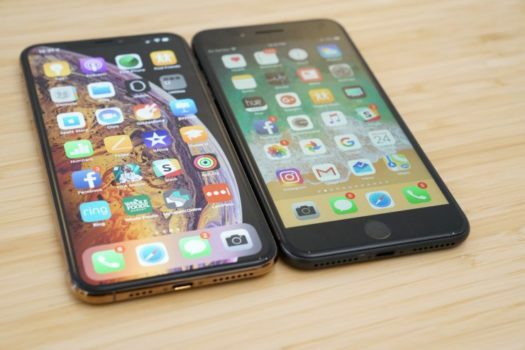 The iPhone XS comes up very short of its competitors, they fall so far short, that there is no way to close the gap through software updates. Everyone seems to not care about Apple’s little issue and will continue to use Apple iPhones.